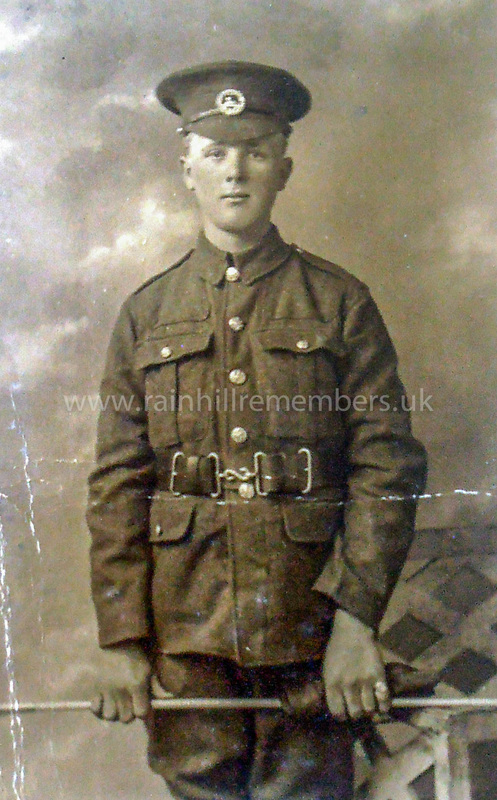 William Welsby was the first child of William and Frances May, born in June 1898 in Rainhill. The family lived at 8, Market Street, where his father was a shopkeeper butcher. By 1911 he had three brothers, Ernest, Harry and John. 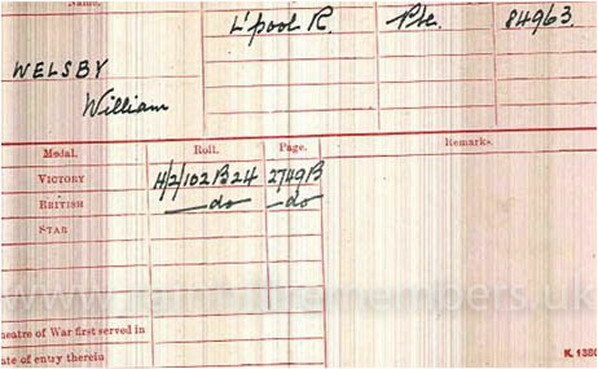 William attended Prescot Grammar School and before the age of 20 joined the army. He became Rifleman 84963 (Signaller) of the 2nd and then 6th Battalion, the King’s Liverpool Regiment. Formerly M/286875, Royal Army Service Corps (MT). William was the cousin of Samuel Welsby who had joined the army at about the same time and lived three houses further along Market Street. 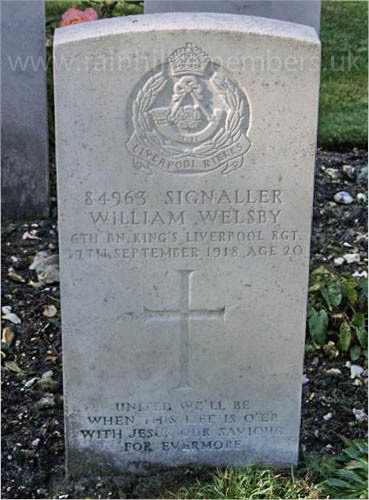 William was aged only 20 when he died of wounds sustained at Riencourt, France. It is likely that Private Welsby was wounded as a result of a gas attack when attacking Riencourt. This was a successful attack with all objectives being met and some 650 German prisoners being taken. It cost the lives of 114 Ordinary Ranks. 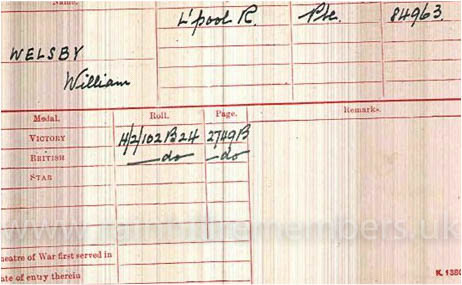 William is buried in the British War St Sever Cemetery Extension R. II. Rouen. During the War, Commonwealth Camps, Hospital Bases, depots and general HQ were stationed south of Rouen. All the 11 hospitals remained there for the whole war and the majority of men who died in them were buried in St Sever Cemetery. The medal card of William Welsby showing that he was entitled to the British War and Victory Medals.